I recently shared an article about this outbreak on Facebook, and several individuals commented asking whether it was tied to the recent wave of refugees that have entered Europe, particularly as a result of the Syrian war. It led to discussions about the possibility of refugees choosing to waive vaccinations due to religious beliefs, about the vaccination status of undocumented children in the United States, and other topics. As an individual of Middle-Eastern descent and immigrant of the United States, such discussions are challenging and hard not to take personally. I tried to steer the discussion towards the evidence, which I will outline here. In this post, we’re going to explore how the current outbreak in Europe is spreading across the continent, and whether there’s any evidence to support the idea that refugees or immigrants are more/less involved in disease outbreaks in the United States. Is the current measles outbreak in Europe associated with refugee populations? Despite the recommendation from WHO, Romania’s vaccination coverage for the first dose of the MMR vaccine was estimated to be 88% in 2015, with a wide range in coverage across the nation. The World Health Organization states that these pockets of suboptimal immunization rate around the country are due to “certain cultural traditions, religious beliefs, fear of adverse effects of the vaccine or lack of confidence in public authorities”. 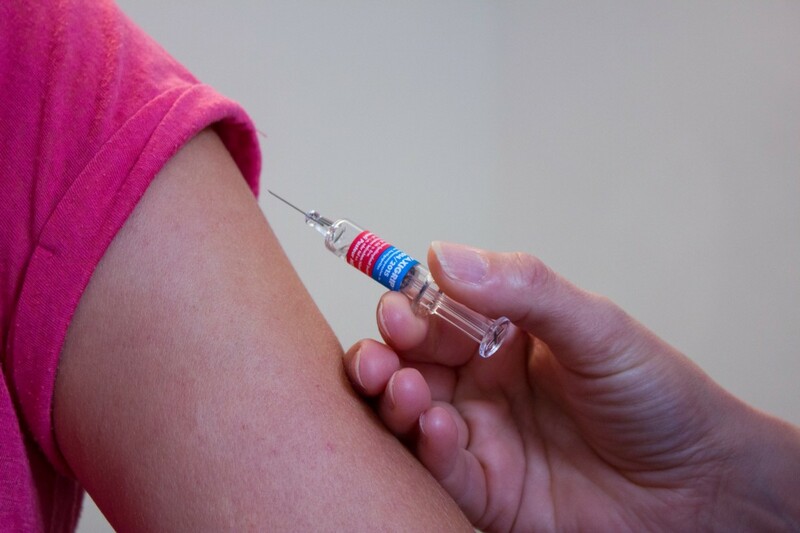 The recent outbreak finds the majority of its cases in regions of Romania “where immunization coverage is especially low”. Before anyone jumps to the conclusion that the “religious beliefs” exemption referred to above implies Islam, I could find no evidence to support this notion. A 2013 review published in the medical journal Vaccine explored the stance of major religious groups on the topic of vaccines. Although there are Islamic communities around the world that have opposed vaccines, Islamic leaders and thinkers have outlined how vaccinations are acceptable. Islamic medical scholars have examined the components in vaccines and have provided guidance to encourage Muslims to receive vaccinations. WHO provides further guidance and recommendations in the document on how vaccinations should be provided to refugees across Europe. In conclusion, I could find no evidence linking the current measles outbreak in Europe to refugees. So, why has the vaccination rate in Romania declined? According to this document prepared by UNICEF, anti-vaccine sentiments have grown on social media in Romania, particularly by preying on parents’ fear around the use of chemicals and “toxins”. In other words, regions across Romania are just as susceptible to anti-vaccine arguments as Marin County, California. Before we broach this topic, it bears noting that countries around the world include medical check-ups and vaccination records as part of the documents required for residency applications. I’ve lived in four different countries in three different continents. Each residency application required a visit to the doctor, including my green card application in the United States. My green card medical check-up took place while I was pregnant: I received a TdAP vaccine and I had to show my other immunization records. The immigration process for refugees to the United States also involves medical examinations. Medical and religious exemptions can be granted to all immigrants and reasons for these exemptions are clearly provided. Most involve additional paperwork. In my personal experience, the immigration process is convoluted and long enough that I find it difficult to believe that an individual would seek an exemption unless it were absolutely necessary. The question that remains is: are vaccine-preventable outbreaks associated with undocumented immigrants, particularly children, in the United States? However, to ensure that all children across the country receive the required vaccinations, laws such as California’s SB277 are needed, which ensure that children enrolling in the public school system are up-to-date on their immunizations. It is my biased opinion that immigrants and refugees would be more likely to receive vaccinations. Individuals leave their home country in search of safer and better opportunities, and that includes better healthcare for their families. Vaccines have been a victim of their own success: many North Americans have not experienced the harms of forgotten diseases and have not experienced a dangerous disease outbreak. Yet many South Americans know and fear diseases: as a child living in Venezuela I remember a cholera epidemic, as a teenager my entire family got dengue fever, and we got our yellow fever vaccinations before moving to South America. It is my perspective that South American immigrants would have an immunization rate equivalent or greater than that of US-born Americans, and there’s some evidence to support this. “Overall, there are 10 times more annual US visitors to high measles incidence countries than there are unauthorized immigrants in the US from high measles incidence countries. It bears noting that there have been instances where vaccine-preventable illnesses have had outbreaks in refugee camps. These were associated with the living conditions in some camps and provided much learning to the organizations involved. However, vaccine-preventable illnesses have also had outbreaks in Disneyland and Manhattan. That we should assume that refugees or immigrants are more likely to “carry disease” points to our own prejudices about segments of our society that should be embraced rather than shunned and assimilated rather than outcast. We should be mindful of the agenda behind websites that promote such myths, and turn to health organizations such as WHO or CDC for information on disease outbreaks.